Radio France has been severely criticised by the official auditor, the Cour de Comptes, for failing to act on a previous recommendation in 2014 to make its orchestras more efficient. Although staffing across two orchestras has been reduced to 325 ermanent posts, the players are working less than 1,000 hours a year – or 20 hours a week. The standard public salary in France – teacher, nurse, policeman – is for 1,600 hours a year. The Cour’s demands for efficiencies in its last report were kicked into the long grass. This time, President Macron is under pressure to show progress. Seriously? 20 hours a week on stage, that’s roughly your standard 8 services. Plus another 10-20 hours at home to practice/stay in shape/learn new rep/make reeds etc. That’s the crappy arguments orchestra managements make during negotiations and work stoppage. Bureaucrats. Thanks for not defending musicians. Oh the idiots have a go at it again. And they forgot to subtract the pauses in the scores. It’s even less time these lazy musicians actually work. Too bad not everybody can have a proper and important profession. Like accountant. The 20 hours a week, I don’t know what it include. As far as I know, an orchestra is about 100 musicians. (Is there a substitute for every nominal musician?) why is there 325 permanent employees? How many directors, etc. In France everyone want to be the president of something. Like in China, everyone want to be the emperor. Usually it includes the actual presence time in rehearsals, concerts, and a bit of other tasks like meetings, auditions etc. The presence hours NEVER EVER give the full picture of the workload of a professional musician. It’s not hard to understand, but accountants apparently seem to have trouble getting this. Possibly due to the antagonistic nature of their anti-creative non-artistic profession. Hard to say from the outside. A typical good radio symphony orchestra has anywhere between 100 to 120 musicians employed. Other orchestras with a higher workload, like orchestras who also do opera, in a European repertoire opera house, can be 160 to 180 positions per orchestra. Then you have administration, maybe the engineers and producers are part of that group as well. So impossible to judge from the outside, what is essential, what is is good to have, and what is excessive. As far as I understand, 1600 hours a year is some 30 hours a week, which is – when there are 5 working days a week average – some 6 hours a day. For a nurse and a teacher that is unlikely, even if you substract the holidays. And then, orchestral musicians practice at home which is not included in the contract, I suppose. 20 hours a week is slightly less than 3 hours a day in a week of 7 days, and 4 hours a day if worked during 5 days. And that does indeed seem rather slight. If you count holidays and vacation time out, you end up with about 42 5-day weeks an average employee has to work (that’s for Europe). 1.000 hours over 210 days amounts to 4 hours and 45 minutes. That’s for presence time only. Put the practicing and other related essential preparation tasks on top with 3 hours and 15 minutes, and you easily have a regular 8 hour day. We also have not considered, that many of said musicians have worked much of their youth without remuneration to get to the point of being qualified for such a job. These accountants simply are too stupid to get it. Sorry. All of that is very true, especially the trajectory before arriving at the level where they are finally remunerated rightly. Orchestral practice cannot be treated as a regular, average business. Before we show TOO much of a knee-jerk reaction to the numbers. Perhaps we can discover what the 20 hours per week actually comprise. In most British orchestras the players’ contract consists of (per week) 25 playing hours and 15 hours devoted to travelling and other peripheral activities. There is no contractual remuneration for private time spent preparing scores prior to rehearsal sessions, and this can average 2 or 3 hours, per day, that will add about 8 or 10 hours to the working week. That is a total of up to 50 hours, working directly or indirectly in the player’s employment. 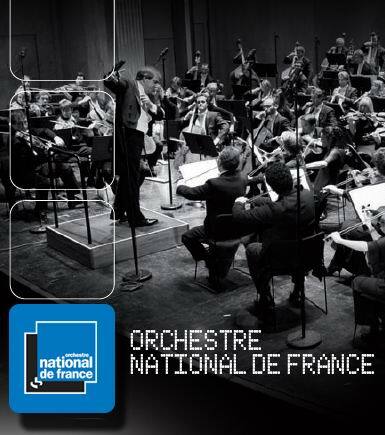 Perhaps a reader who knows what the Radio France orchestras’ contracts include could enlighten us. You’re not including the London Four (LSO, LPO, RPO, Philharmonia) which work an average 60 hours a week. Not factoring in travel time…. Poor France. It never ends there. Always some new crisis, some new dispute, some new demonstration, some new scandal. Just reading about and watching life in that country on a near daily basis is sad and hard enough, but I pity the souls that have to live there and deal with the state of constant upheaval and chaos on a daily basis. No wonder most of them seem so miserable, behave so rudely and neurotic. Lucky they have ”France Musique”. The best classical music station in the world. France Musique is good, but I’d say the best is Netherlands Radio 4. Living in France is actually wonderful. Not only the food but free education, health care, vacations more than any other country. Paris has five opera companies, six or seven orchestras (depends who’s counting), etc. etc. Get to know France better. It’s a torn country where the different strata continuously clash in violent outbursts. But there are still many people there who cultivate culture.